Music has always been a big part of our lives here at David Report. 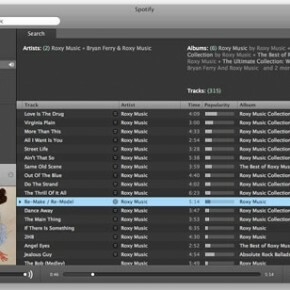 Now we are kicking of a series of one hour playlists on the streaming music service Spotify. The first one is called Flow. It starts of with some slow, dark shimmering sounds from Death in Vegas and Hope Sandoval (ex Mazzy Star). Speed is getting faster with Department of Eagles, TV on the Radio and This is Head. 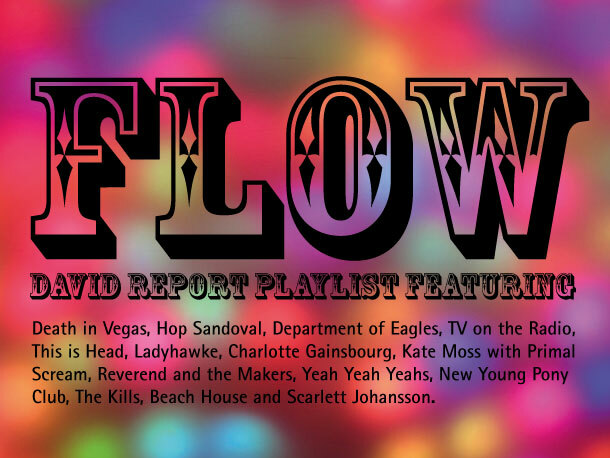 Female vocals from Ladyhawke, Charlotte Gainsbourg and Kate Moss with Primal Scream is followed by uptempo songs by Reverend and the Makers, Yeah Yeah Yeahs and New Young Pony Club. The Kills slows it all down until the playlist ends like it started, with darker sounds from Beach House and Scarlett Johansson. 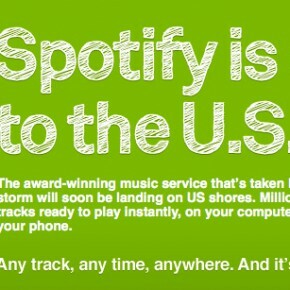 Spotify music service is coming to the U.S.